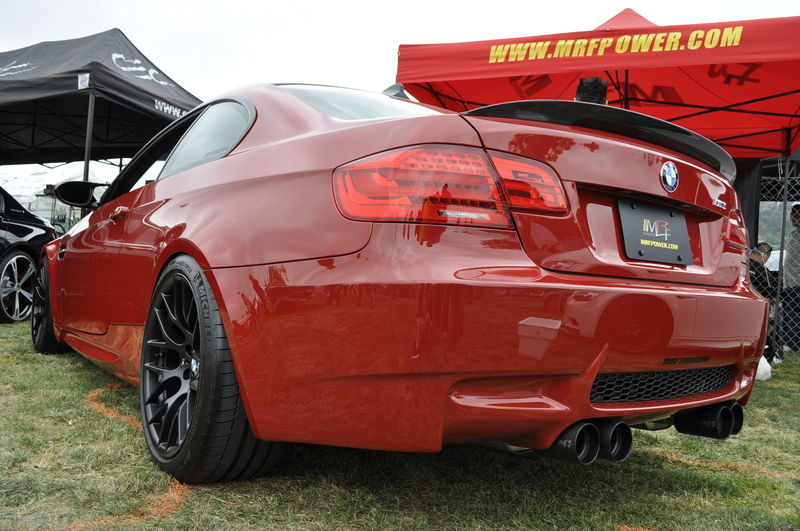 The MRF Engineering Velaforza Exhaust System is the finest stainless steel unit available for the E9x BMW M3. 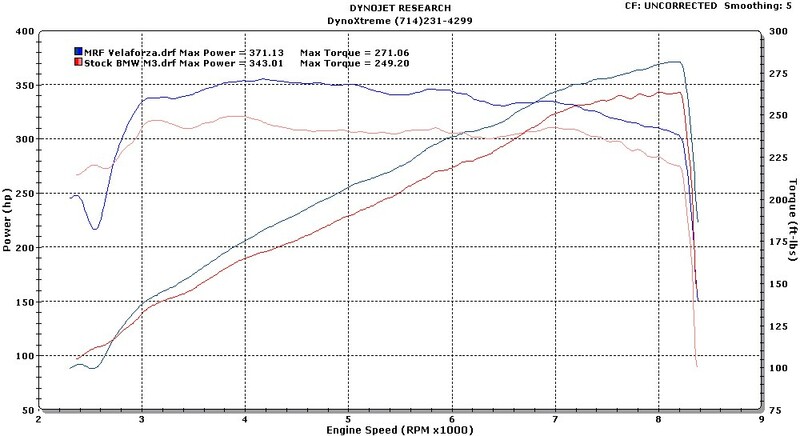 Providing an industry leading 28 RWHP and 22 RWTQ gain over a standard M3 with Mid-range gains of 35 RWHP and 40 RWTQ. 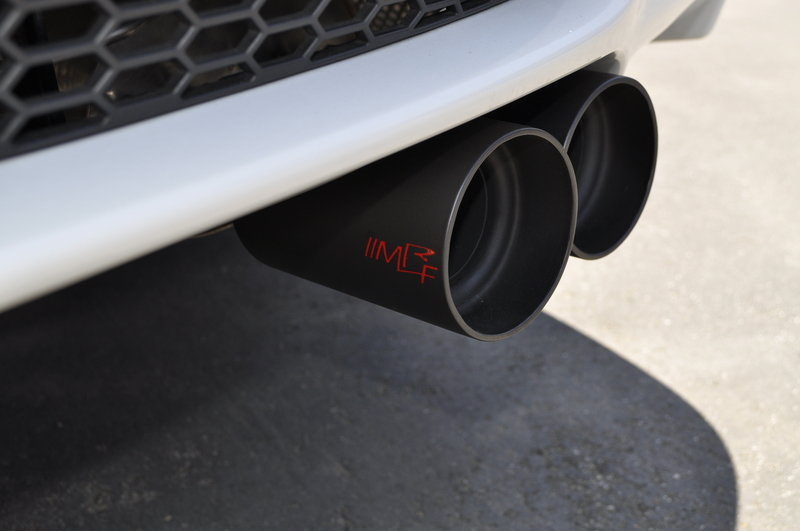 The MRF Velaforza Exhaust promises nothing less than pure power and sonic fidelity. Full Stainless Steel SS304, SS321 Construction. No Resonators in system to further reduce weight. MRF Engineering Designed rear muffler assemblies with proprietary ceramic packing, SS321 perforations and SUS wire mesh wrapping. Internally Gusseted muffler assemblies to ensure reliability and years of trouble free operation and rigid construction for street and aggressive racetrack environments. 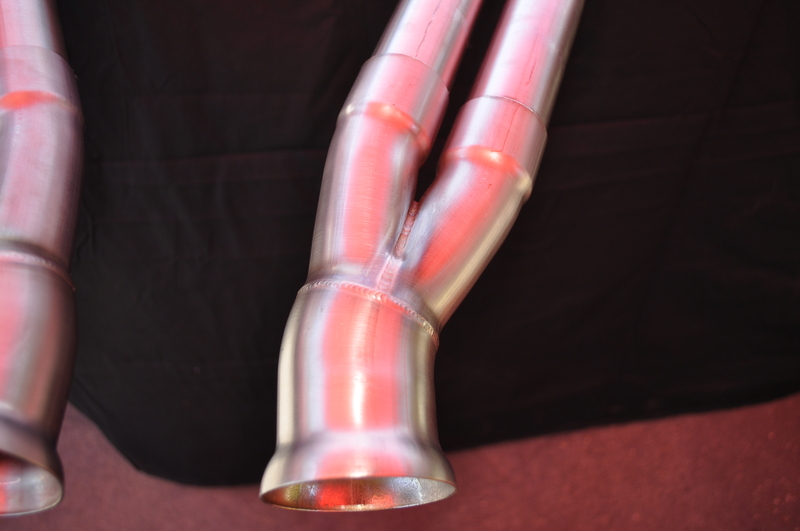 Hand-crafted 89MM double stepped, double walled exhaust tips. Fully adjustable exhaust tips. 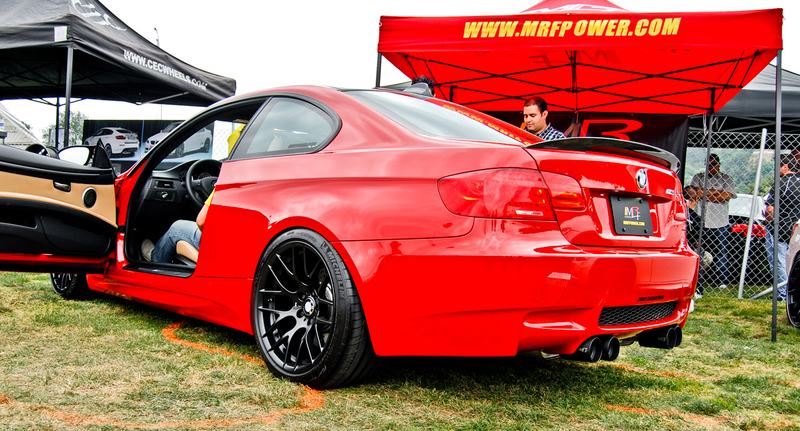 System tips retain factory OEM BMW staggered design. System bracket with CNC Waterjet VELAFORZA Logo. Bracket also serves as a system brace to prevent any compliance in system under heavy usage. MRF Engineering WaterJet ½” flanges to perfectly mate to OEM exhaust manifold flanges with factory BMW taper. 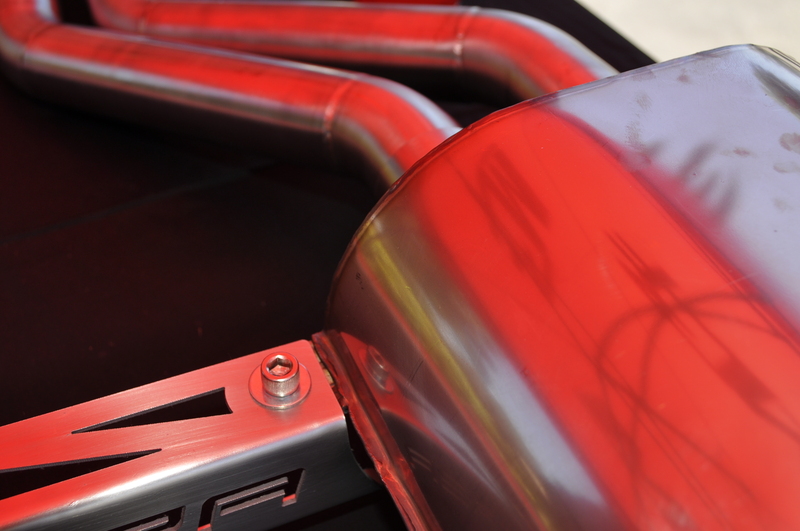 Every System is hand assembled in exhaust frame to ensure fitment, and match-marked to ensure proper fitting on vehicle. Proprietary MRF Engineering Motorsport X-pipe merge. 1.75” MRF Engineering Patent Pending true QUAD rear section tubing. OEM replicated flanges for rear section system for perfect fitment. Proudly designed, built and tested in the United States. SYTEMS IS DESIGNED AND INTENDED FOR OFF ROAD USE VEHICLES ONLY. Copyright © 2010 MRFEngineering.com All Rights Reserved.